A few weeks ago Alistair picked Harry up after school while I was at work. 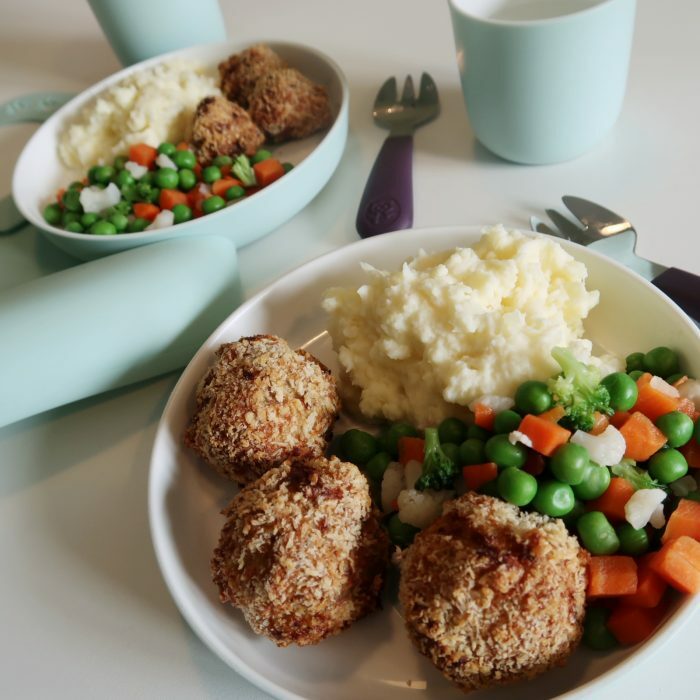 They cooked together and made these turkey burger balls. They were sooo tasty! I wish I could take the credit for this recipe but it’s all Alistair and Harry’s creation so they 100% deserve the credit. 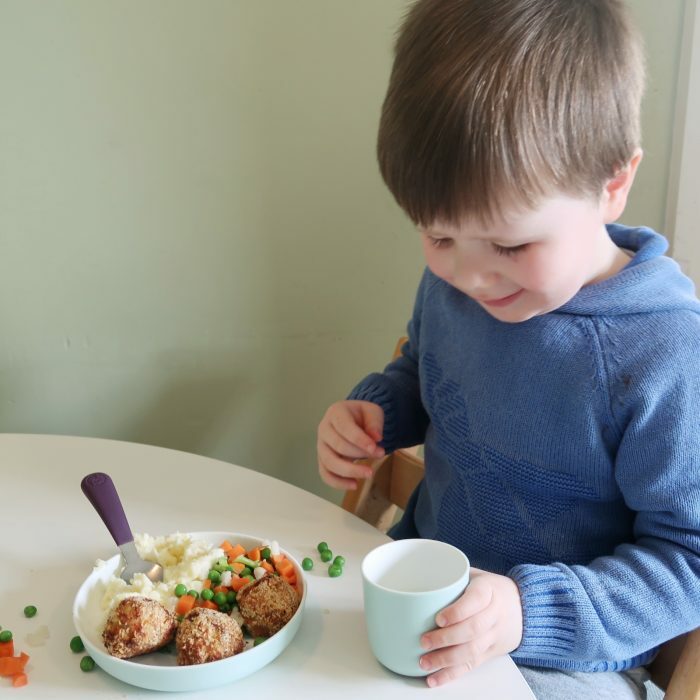 They were a perfect recipe to make together, Harry loved making the ball shapes and coating them in the breadcrumbs. He was so proud when we all ate what he had made and ate really well because it was something he’d cooked himself. 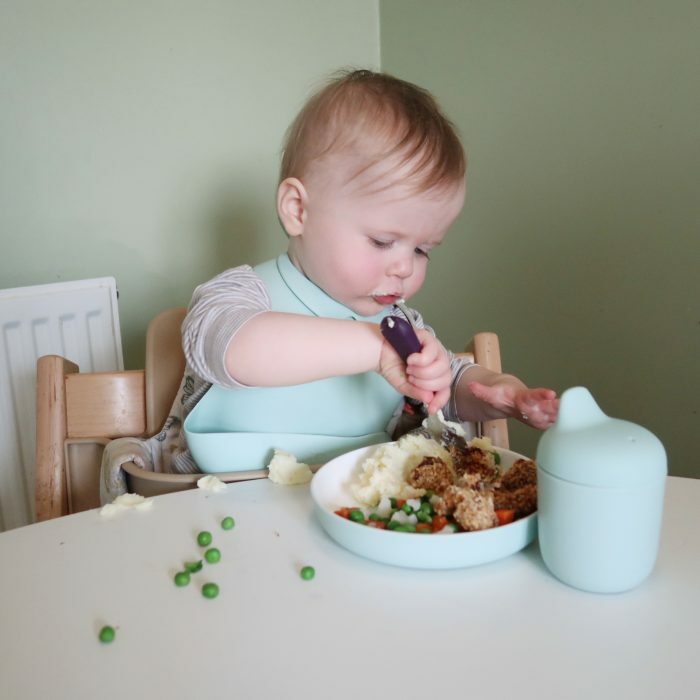 If you have fussy eaters I’d definitely recommend getting them involved in cooking, giving them ownership of preparing the food they’re eating definitely helps to encourage my kids to eat well. The quantity of breadcrumbs and cooking time will vary depending on what size you want your balls to be. We like to toast and blitz and leftover bread in a food processor to make our own breadcrumbs and avoid waste. These can be kept in the freezer for months and are really handy to have in for recipes like this. You can buy pre made breadcrumbs in most supermarkets though if you prefer. Mix the turkey mince, 1 egg, the garlic paste and paprika in a bowl. Harry loved doing this with his hands to ensure everything was well combined. Shape the mixture into balls. For babies, it’s good to make them about the size of their palm to make them nice and easy to pick up. Coat each ball lightly in the flour, egg, then breadcrumbs. This was another step that Harry really enjoyed because it was so messy! Place the balls onto a non stick baking tray and bake in the oven for 25 minutes, turning half way through so they cook evenly. Cooking times may vary depending on the size you make your burger balls. We served ours with mashed potato and mixed vegetables. The kids loved it!